‘Anchovies’ is a short film we discovered during the 6th Singapore Short Film Awards earlier this year. It captivated us with its mish mash of fantasy, rustic beauty, and nostalgic nod to the old Malay movies of the 50s and 60s. It is a 23-min Malay short film produced by The Big Shots in collaboration with zero3studio, supported by the Singapore Film Commission. 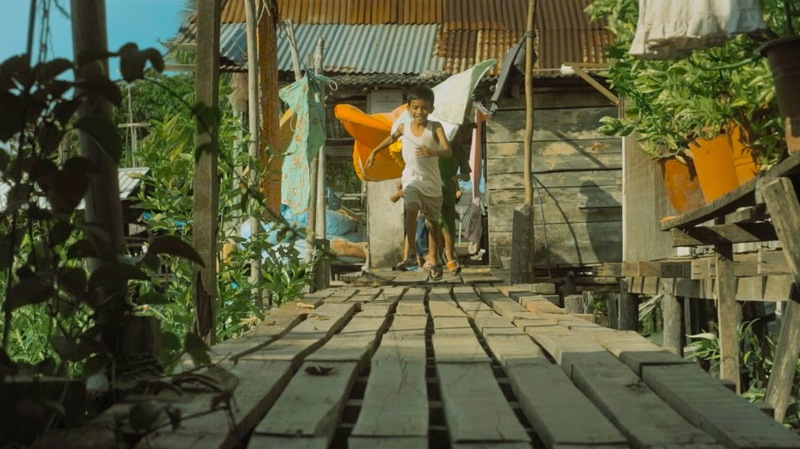 It's written and produced by prolific filmmaker of children's films Lee Chee Tian, directed and edited by Zulkifli Salleh, and photographed by cinematographer Lim Beng Huat. It stars newcomer child actor Amirul Hakimi Bin Fauzi, Aric Hidir Amin, and veteran Malay actors Roslan Kemat and Daeng Amer. It is intended to be the final instalment of the "ABC Junior Films" trilogy produced by the same team. The other 2 films that make up the trilogy are "Beam" (which was covered by SINdie previously at http://www.sindie.sg/2010/03/dialogue-panasonic-digital-film-fiesta.html) and "Colours" (which was also covered by SINdie at http://www.sindie.sg/2008/08/celebrate-drama-colours-by-derek-lui.html) . It just recently won the Gold Remi Award in the Family / Children Category at the 48th WorldFest-Houston International Film Festival last weekend in Houston, USA. A boy watches a scary sea monster movie and becomes afraid of the sea. Problem is, he comes from a family of fishermen, and is expected to become a fisherman too. Will this spell the end of his traditional livelihood? We chat with writer and producer Lee Chee Tian and director Zulkifli Salleh to learn more about how this exquisite film was made? How did you conceptualise the story? Is your family in the fishing business as well? CT: The idea for the story actually came about when the Korean monster movie "The Host" (http://www.imdb.com/title/tt0468492) came out. I was letting my kids watch that movie on DVD, and it just struck me then, while observing how they reacted to the movie - what if they got too scared of the monster, and ran away midway, without watching the movie to its end - what scar will it leave on them for the rest of their lives? Thus hatched the central idea of the film. Initially, I was thinking of using a widely recognisable sea monster of my own childhood era, and what better than "Jaws", of course. Unfortunately, I was given a rude shock when I found out from Universal how much they'll charge us for incorporating a few seconds of footage from that movie (not only was the number as large as the shark, it was in USD too!) So that idea had to be abandoned, and we made "Beam" in its place. The story got shelved for some years, and one day, while looking for new story ideas to make new films, it struck me again that I had at hand some children's films under my belt made over the years - "Colours", "Beam".... I just need one more "A"-titled film to make a sort of trilogy. The Jaws story somehow resurfaced, and I thought, what if I change the sea monster, such that instead of Jaws, it's some other sea monster with an "A" name, and instead of something big, it's something small, yet very recognisable.... The result of that brainstorming - ikan bilis, whose English name happens to be "Anchovies" - just what I need! And the rest of the story just swam into place after that enlightenment. And no, none of us are in the fishing business. I like how you blend the elements of old Malay cinema into the world of the young boy who is faced with some real-wrold dilemmas. Is this also a tribute film to old Malay cinema? 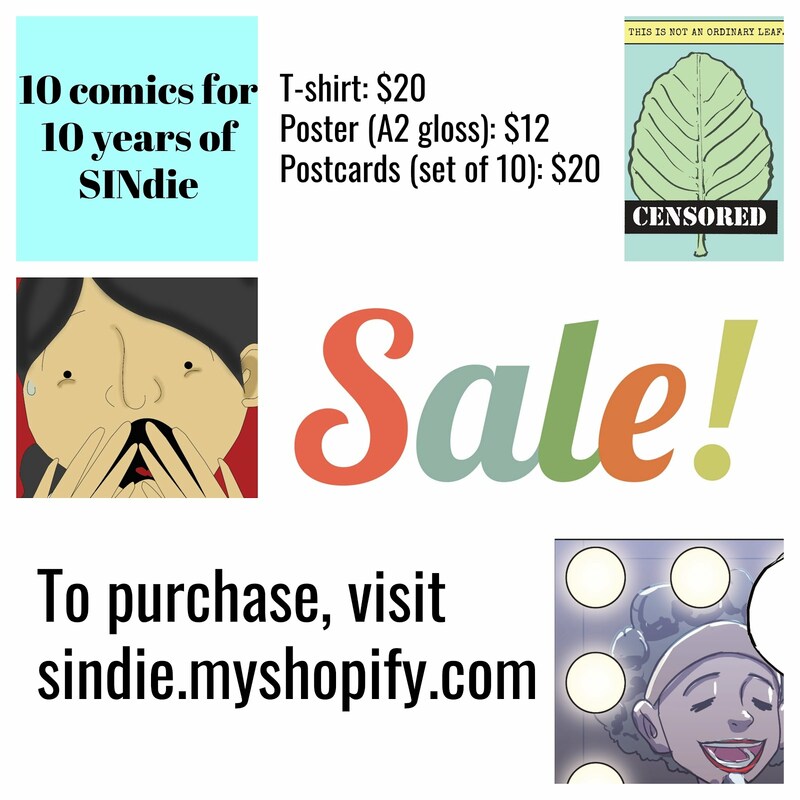 Can you share more about your influences in this film. CT: As I explained, I initially intended to use "Jaws" instead of a Malay movie, but forced by circumstances and issues of practicality, we simply had to adapt. Now, on hindsight, I'm glad that we didn't get to proceed with the "Jaws" idea, and made it into the ikan bilis story that it is now. And because we decided to use "Ikan Bilis" as our sea monster, everything naturally became very Malay, and we realised we actually had a rich local Malay cinema to draw our inspiration from rather than a Hollywood blockbuster, and it just made more sense! It's just like what the father character in the film keeps telling his son, "We should know our place." Why try to be Hollywood when we have our own identity that we've built ourselves that we ought to be proud of? ZUL: When Chee Tian handed me the script for Anchovies, the treatment for the movie that Lat watches is already an old Malay cinema movie which I agree is a great idea. Some of my references for these scenes were films by the late P Ramlee such as "Seniman Bujang Lapok" and "Pontianak". These films are great as it can be serious and scary at some point and at other scenes it'll make you laugh. And although they are in Malay language, many races enjoyed it and remember it till today. That is my aim in my films too. There are certain points about the films which I'd like to achieve, the balance between humour, horror, and the use of minimal techniques of the technologies of that time to achieve this. We aim to achieve the intended emotions by using mainly 1-2 shots per scene without much intercutting as well as using basic straight cuts and dissolves in the transitions. The actors also did well as for the old cinema scenes especially, we need them to do one continuous take per scene as Malay cinema of that time doesn't use much intercutting but instead emphasizes a lot on good performances. 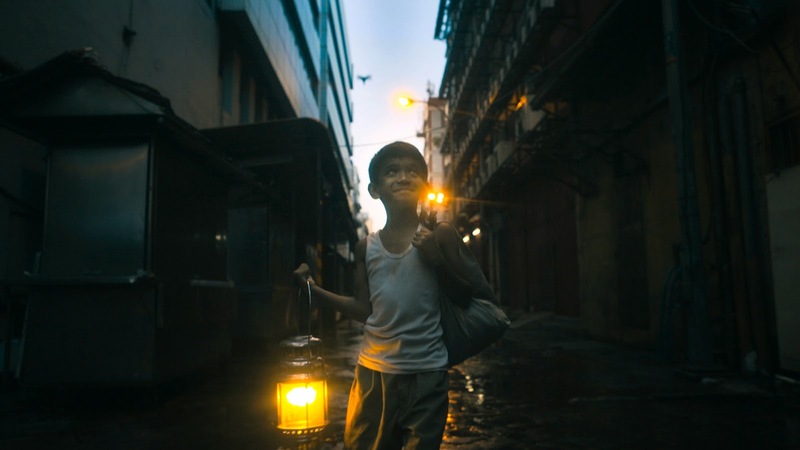 The cinematographer Lim Beng Huat also researched to have his lighting and camera techniques as close as possible to that era of film making. For the other parts of the film which are set in the present day, I don't really have any particular influence or reference film but mainly I aimed to have all of my directing decisions to be motivated by the story. After rehearsals with the actors, I discussed with the cinematographer on the shots and it is nice that Beng Huat shares the same enthusiasm on moving the camera for the story. Beng Huat shares his interpretation of the scenes and we discussed ways to tell the story visually. Based on this I'll also modify the actors' blocking where needed. During editing, coloring and sound and music stages the team also based each creative decisions on moving the story forward. 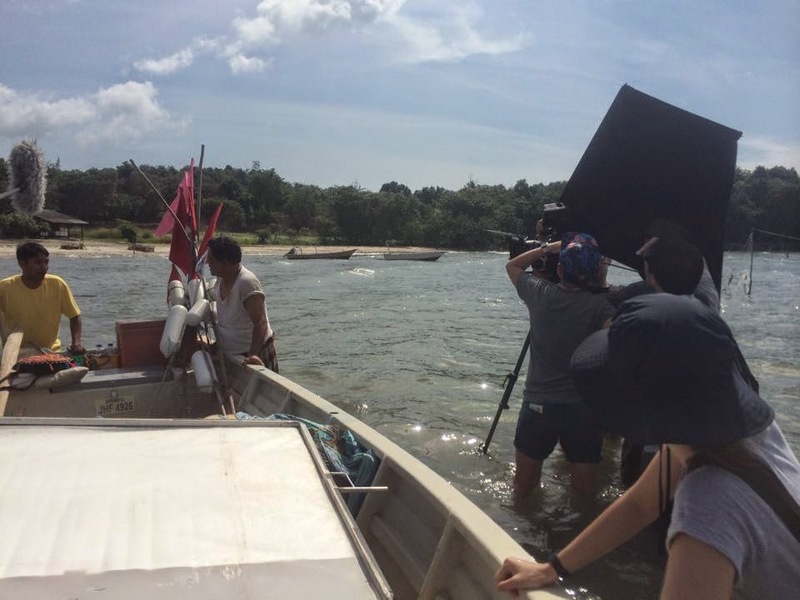 Was it difficult shooting in Johor Bahru and the other outdoor locations? What were the challenges you faced? 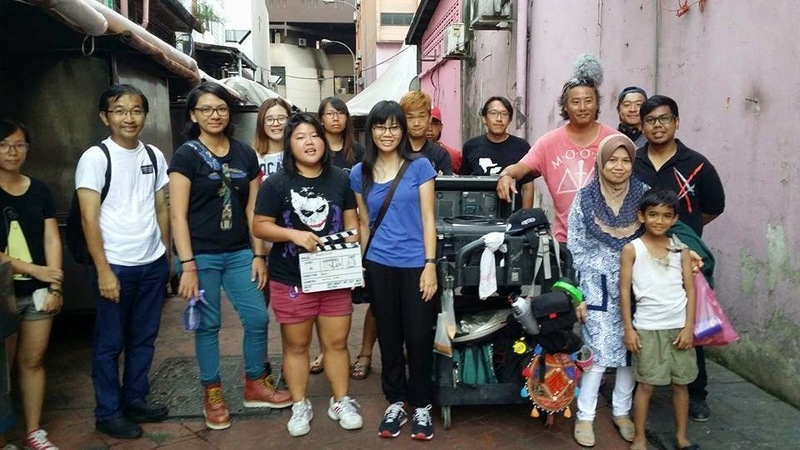 CT: There are no film professionals in Johor! 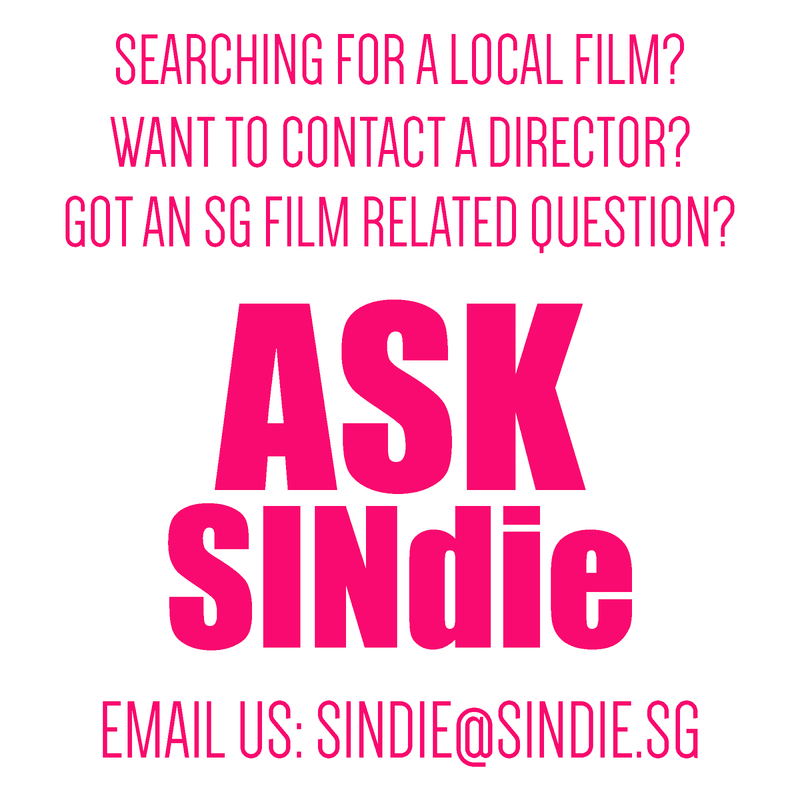 All the professional services that we need to support our film production are based up north in KL. We had such a hard time looking for such personnel in this part of Malaysia. 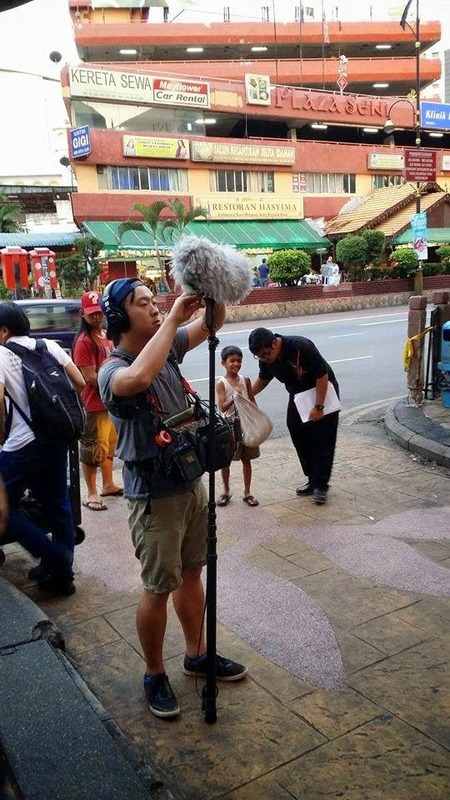 In the end, most of our professional crew members are from Singapore. Shooting in a foreign land, language, logistics, transport and accommodation naturally posed great challenges to the team. We were fortunate that the locals generally were rather friendly and tried to support our filming activities as best as they could. 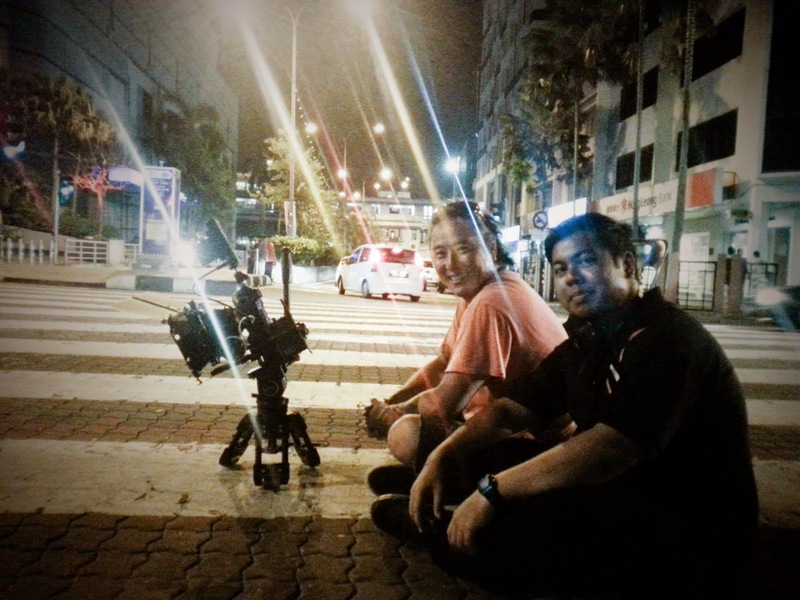 Some unhappiness due to inconveniences are bound to happen - after all, they're not used to seeing film crews pop up in their neighbourhoods, unlike KL - but we managed to resolve most issues that arose in the most amicable ways. At the end of the day, it was all worth it, because we wouldn't have been able to find better locations than those to fit the story so perfectly - definitely not in Singapore! What were the most enjoyable moments of the shoot? CT: To see the film forming into shape exactly as we envisioned it - the actors, the locations, all perfectly matching how it appeared in our heads, we knew while we were shooting that we were making a film that we would be very happy with. ZUL: For me the most enjoyable moments of the shoot would be filming the movie screening scene at the village with all the villagers. We did this on my first day on this set and this is the scene with the most number of casts I have ever did. I am amazed at the villagers' enthusiasm at supporting our filming as during the screening scene, almost all the villagers came down to the field, even though we were showing just a blank screen. They were directed to give different expressions and I am delighted when they managed to pull off all the emotions we needed. Another interesting part of this scene is that we had a cow and a chicken to watch the film together with the villagers and it somehow manages to give a scared look while watching the movie on screen. Another memorable moment is when I begin editing the film and felt that all the shots just fits in place and feels just right. How long was this film in the making? When did you start pre-production? CT: We're not counting the time when it was originally hatched as a "Jaws" idea, right? If we count just from the time it was re-written as an "Ikan Bilis" movie, still, it took us more than a year from script to actual production. Location scouting and casting took us the most time, as you can imagine, as these played the most crucial parts in the film - the film either makes or breaks based on these two elements alone. We're glad we managed to land the perfect choices for both. How blessed we were! Again, as the father character in the film says, "Everything has its place." Everything in this film happened to find its place indeed! You seem to have a very experienced cast and most of them put up very strong performances. Describe how you work with your actors. CT: Credit really has to go to Zul for casting the perfect actors for all the roles in the film. The cast really made the characters alive! I'm ever so thankful for their wonderful work in this film. ZUL: We began with auditioning quite a number of possible casts to find the suitable ones for the film and we are still thankful that many talented casts came by to attend our casting sessions. For the casting process, we sent them a part of the script and during the audition, I let them interpret the script and character themselves first and after that we did another round with me giving directions and lastly I gave them a random scene to audition their improvisation. Other than the acting abilities we also selected based on whether their physique fits the role. We also encouraged them to try for different roles in the film so that we can see which role they are more comfortable with. The young and adult Lat, Lat's parents, Nora and Zak are casted in Singapore, while the supporting village children and the crowd during the movie screening are from the kampong in Johor which we filmed at. The lady getting pulled underwater by the Ikan Bilis is from the village too as because we need her to be fully underwater, we need a diver and one who is familiar with the waters in the village for safety reasons. She happens to be one of the best lady divers in the village and she had no problem having to dive in and out multiple times for our different takes. We had rehearsal sessions to firstly break the ice among the actors, this is especially important for Lat and his parents so that their relationship with each other is believable. During the rehearsals, we would experiment different actions and directions for the scene based on the characters' behaviors and motivations to arrive at one that is right for the film. On set while filming if some ideas come up to improve a scene, we'll try it out whenever there is time to do so.